The Supreme Court, while upholding the constitutionality of educational/domicile requirements in Assam MBBS/BDS Admission Rules, has observed that it is permissible to lay down the essential educational requirements, residential/domicile in a particular state in respect of state quota seats for basic courses of MBBS/BDS/Ayurvedic. Several MBBS/BDS aspirants (Rajdeep Ghosh vs. State of Assam) had challenged Rule 3(1)(c) of the Medical Colleges and Dental Colleges of Assam (Regulations of Admission into 1st-year MBBS/BDS Courses) Rules, by preferring writ petitions before the Supreme court. Rule 3(1)(c) of the Medical Colleges and Dental Colleges of Assam (Regulations of Admission into 1st year MBBS/BDS Courses) Rules, which requires that, in order to be eligible for state quota seats, a candidate must study in all the classes from Class VII to XII in the State of Assam and must pass the qualifying examination or its equivalent examination from any institute situated in the State of Assam. The exception has been carved out in case father or mother is posted outside Assam as an Assam State Government employee or Central Government employee or as an employee of a corporation/agency/instrumentality under the Government of Assam or Central Government. The petitioners contended that no expert study has been done so as to find out the candidates who have studied from Class VII to XII outside the state of Assam are likely not to serve the state after they acquire their MBBS degree. They also argued that the state obtains a bond agreement to serve the state for 5 years or render one year of rural service on completion of the MBBS course and in case of breach, to pay a sum of Rs 30 lakhs to the government as compensation and that would ensure the incumbent would serve the state as provided in bond after passing out MBBS. Considering this, it was urged that requirement as provided in Rule 3(1)(c) has to be construed as directory and not mandatory. On the other hand, the state supported the rule, contending that it is required in order to enable the students to obtain an education in the state of Assam who are otherwise also residents of Assam and in order to ensure that after obtaining the education, they cater to the needs of the state of Assam. It was also argued that the students who have obtained education outside the state are not likely to stay in Assam and the provision of Rule 15 regarding furnishing of bond cannot be said to be an adequate safeguard. With regard to some judgments of the apex court cited before the bench, it said that the ratio in those cases for the postgraduate course is not attracted to the basic course that is MBBS course. It said the eligibility criteria for basic MBBS course may be different and can be based on domicile but not for the postgraduate and post­doctoral courses. It also rejected the contention that private employees working outside the state ought to have been placed at the similar footing as that of the wards of the state government/Central Government employees etc. 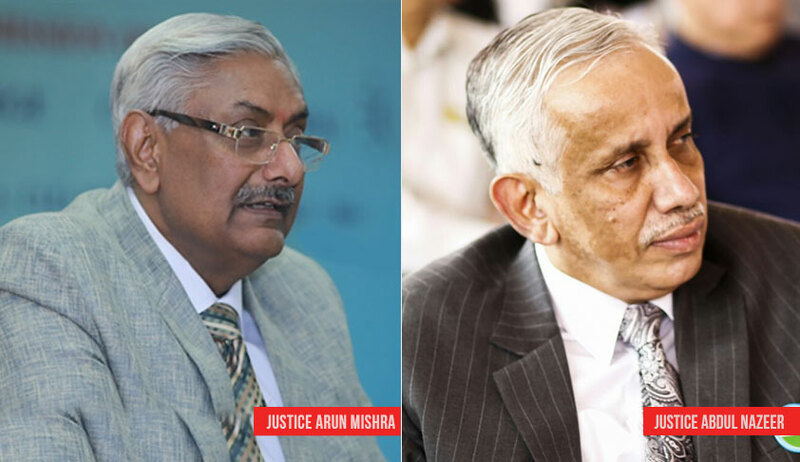 In our opinion, when once parents have moved outside in a private employment and wards obtaining education outside, they are not likely to come back, thus, their exclusion as afore-stated footing cannot be said to be irrational or illegal, Justice Mishra said.